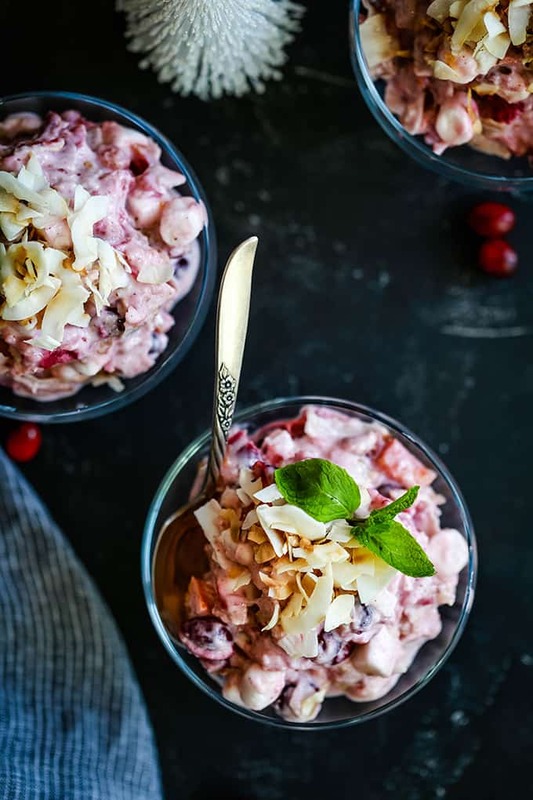 This make ahead four ingredient Cranberry Millionaire Salad will no doubt be the easiest – and most delicious! – side dish at your holiday table! 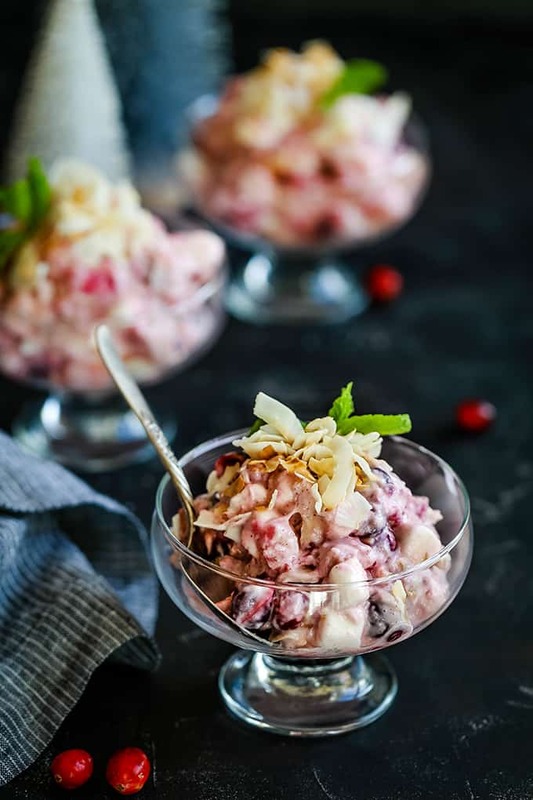 If this Cranberry Millionaire Salad doesn’t make you think of your grandmother, holidays past or church potlucks, we need to have a serious chat. I also would love to give a high five to whomever decided that this was salad with nary a vegetable in site. Well done, my friend. Well done. What is a Millionaire Salad? Let’s get this answered right from the start, shall we? A Millionaire Salad, also known as a 5 Cup Salad, is a side dish including a one cup measurement of five different ingredients. These typically include marshmallows, coconut, mandarin oranges, sour cream and pineapple. 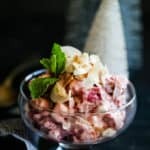 This is also similar to an ambrosia salad for those of you keeping track. 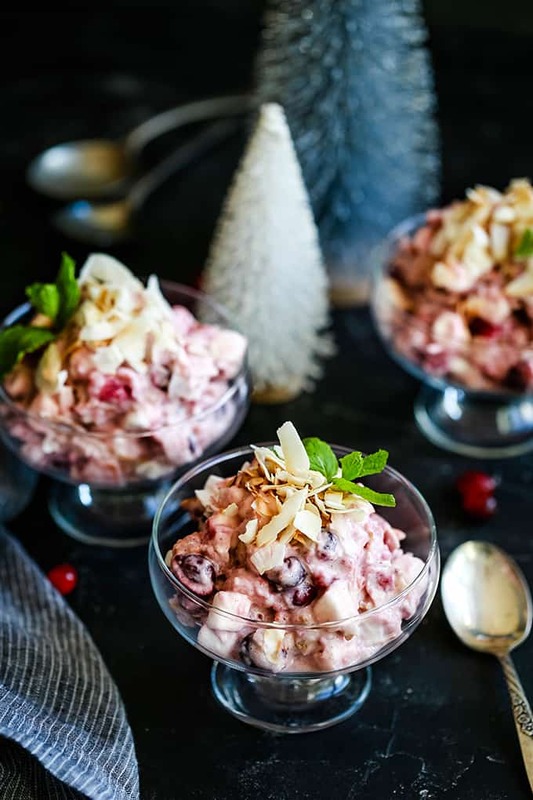 But with the holidays upon us, this Cranberry Millionaire Salad is a lot more festive! It’s simply my Citrus Cranberry Sauce with three additional ingredients. Mini marshmallows, toasted coconut flakes and plain Greek yogurt. My cranberry sauce recipe already includes clementines and pineapples, so all typical millionaire salad ingredients are accounted for. Check, check. 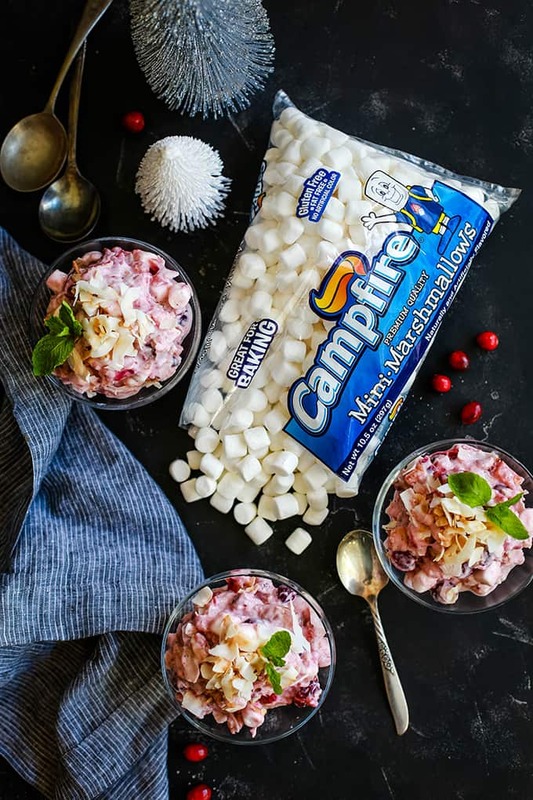 When selecting ingredients for my Cranberry Millionaire Salad, it was a no brainer to include my favorite Campfire® Mini White Marshmallows. These are the only marshmallows I keep in my pantry as they’re always so soft and delicious! They’re also a staple for holiday recipes like my Gingersnap Sweet Potato Mousse with Homemade Marshmallow Fluff and Make Ahead Sweet Potato Casserole. Campfire® has fun, festive Marshmallows for every season – my menagerie absolutely adores their Ghoster Roaster ghost shaped marshmallows around Halloween! Can You Make Cranberry Millionaire Salad Ahead of Time? Yes! With all of the hustle of the holidays and get-togethers with friends and family, I love that I can get a jump start on this side dish ahead of time. You’ll want to make the Citrus Cranberry Sauce at least a day ahead of tie to allow it to properly chill, but you can also make it up to a week in advance. Prior to serving, you’ll then just be stirring in the last three ingredients. 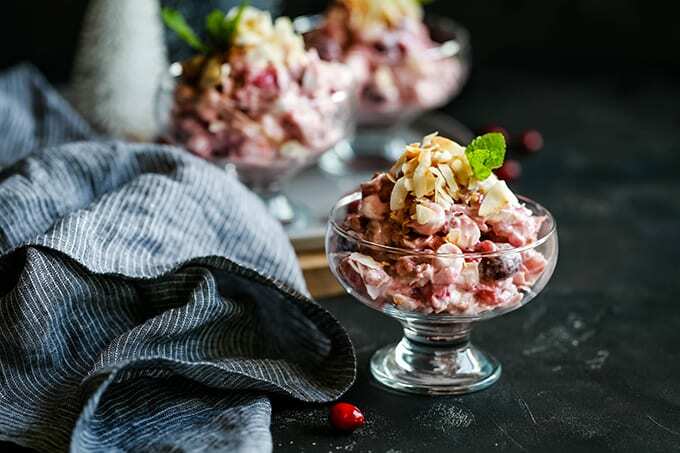 If you’re invited to a holiday dinner, offer to bring this Cranberry Millionaire Salad. Such an easy side dish! Pour prepared Citrus Cranberry Sauce into a large bowl and add Greek yogurt. 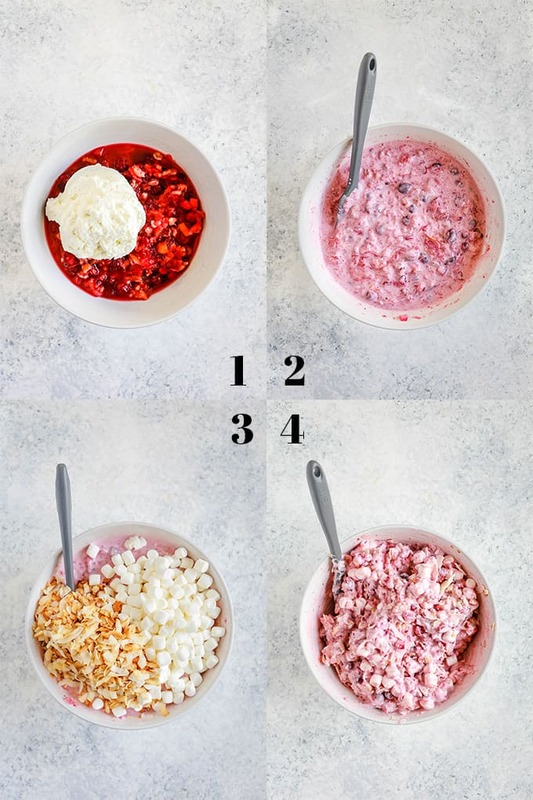 Add marshmallows and coconut flakes to cranberry sauce. Gently fold together until combined. 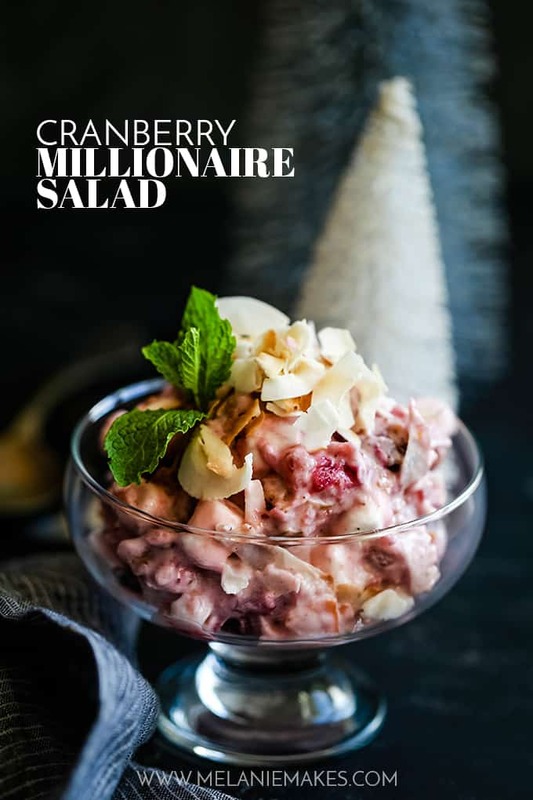 After attending a wedding this summer where salads were all served in individual cups instead of a large serving bowl, I knew I wanted to do the same thing with this Cranberry Millionaire Salad. I’ll admit it’s partially because I don’t like sweet and savory things touching one another on my holiday plate, but it also makes for such a great presentation! I like to garnish each salad with additional toasted coconut and a sprig of mint – the only green you’ll find in this salad! 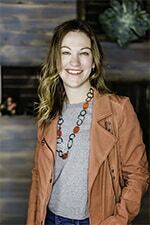 – to make things just a bit more festive. 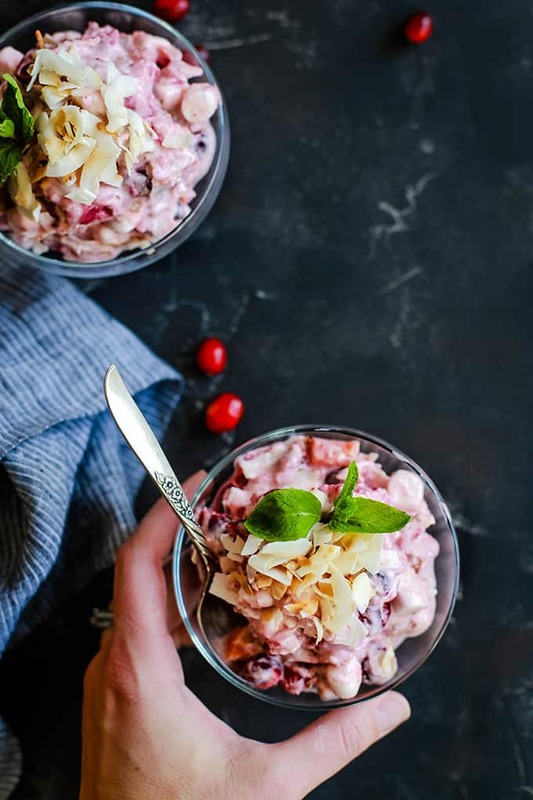 This make ahead four ingredient Cranberry Millionaire Salad will no doubt be the easiest - and most delicious! - side dish at your holiday table! Follow Campfire® on Facebook, Instagram and Pinterest for more great marshmallow recipes! Looking to include more cranberries into your holiday? Your guests will love this Cranberry Pecan Pumpkin Bread at brunch, a Cranberry Mojito at happy hour and this easy Cranberry Brie Crescent Braid as an appetizer. This looks SO SO delicious! I am definitely trying this soon! This is fantastic!! I bet it tastes amaaazing!! This is incredible. I want a taste of this. This looks wonderful. I saw nothing hard about following this recipe at all. The one question I did have was how long does it keep? Sophie - You should be able to keep it in an air tight container in the fridge for three days after initially serving. Hope that helps! Oh my goodness! How amazing this salad looks! I only cand imagine how good it tastes! You're so kind, Abeer - thank you! This sounds like the perfect side, especially with a yummy roast or heavy braised dish! I can't imagine a holiday meal without this salad! The kids will defintiely eat this up! Yum, this a perfect healthy side to me! This salad looks delicious, and I have all ingredients at hand, so I’ll be making it tonight 🙂 Thanks for the idea!